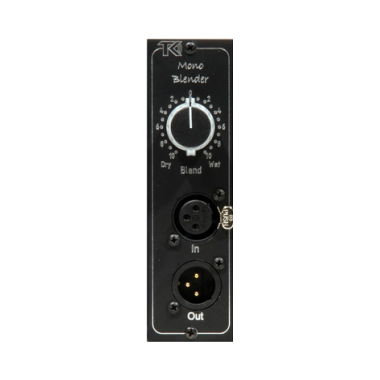 The Mono Blender is the perfect tool for parallel processing. Insert your favorite compressor into the front panel XLRs and blend it with any other audio signal being simultaneously fed through the unit with absolutely no degradation to either source. Imagine parallel compression using a LA2a, LA3a, 1176…or any classic or state of the art compressor! All inputs and outputs are electronically balanced, and the blend control has 21 steps for precise adjustments. It’s also ideal for dialing in the perfect balance between sources recorded with two different microphone systems, such as electric guitar, upright bass or acoustic piano.